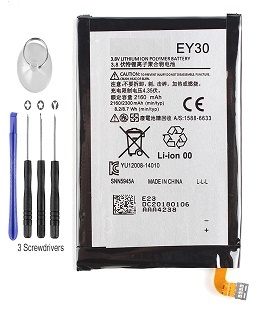 EY30: 3.8v 2300mAh Li-POLY battery SNN5945A for Moto X2 XT1097 XT1096 XT1093 XT1095 XT1085. Includes tool set for installation. Replaces EY30, SNN5945A.